Those who live at 181 Fremont have the best of San Francisco's evolving art scene at arm's reach. Just ten minutes from your doorstep lies one of the most celebrated art museums in the nation, the San Francisco Museum of Modern Art. This spring, dive into the many modern and contemporary art exhibitions as part of the museum's spring lineup that features Andy Warhol, Suzanne Lacy Retrospectives, plus single-gallery presentations on view dedicated to Rodney McMillian, Alexander Calder, Barbara Stauffacher Solomon, and more. Much of Rodney McMillian's work speaks to how American politics and social histories shape matters relating to class, race and gender. The exhibit features a painted abstract panorama spanning the entire gallery, paired with a soundscape incorporating iconic 1980s songs performed by McMillian, along with the voice of a social advocate proposing radically new language and policies around the condition of homelessness. This exhibition is his first solo museum presentation on the West Coast. Photo taking and sharing has become ever-present in our daily lives. At the snap+share exhibition, trace the evolution of sharing photographs in a visual and unique way with examples of 1960s and '70s mail art, physical piles of pictures uploaded to the Internet over a 24-hour period, and a working refrigerator that allows participatory meme-making. Spanning the history of mail art to social networks, explore how networks are created through sending photos and how those networks have changed in the age of the Internet. The show presents a variety of artists working in various media, including On Kawara, Ray Johnson, Moyra Davey, Erik Kessels, Corinne Vionnet, and David Horvitz. Explore Suzanne Lacy's entire career, from her earliest works on feminism to her latest video installations, at the co-organized exhibition by SFMOMA and Yerba Buena Center for the Arts. Honoring the voices and contributions of women to public life, the YBCA presentation will revisit key collaborative projects from a modern-day perspective including an in-depth focus on The Oakland Projects, a series on youth leadership, public policy and community. Organized by the Whitney Museum of American Art, From A to B and Back Again is the first Andy Warhol retrospective organized in the U.S. since 1989. Reevaluating the complexities of Warhol's instantly recognizable works and 40-year career, this exhibition will feature more than 300 works of art stretching across three floors of SFMOMA. 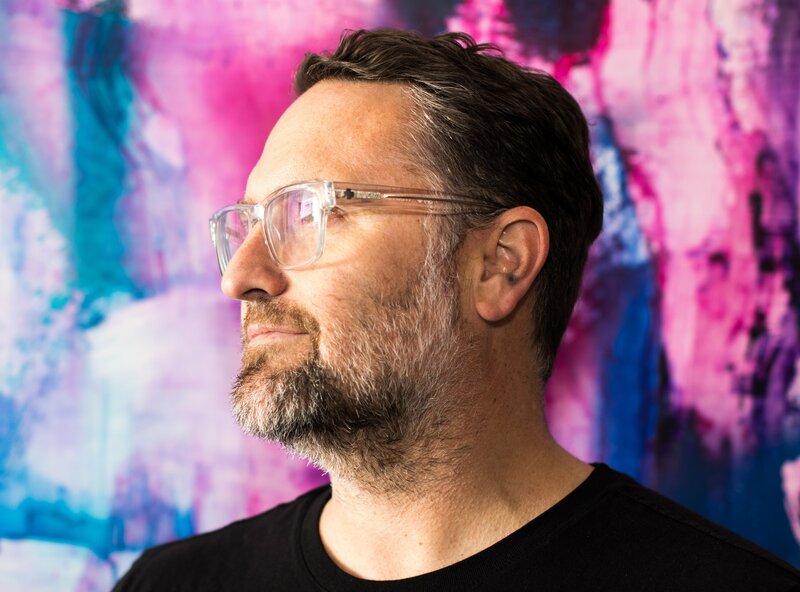 Over the course of two months, internationally recognized artist, JR, set up a mobile studio at more than 20 locations around San Francisco, where he filmed and interviewed nearly 1,200 people across the city's diverse communities. Celebrating their voices, this exhibition will feature a digital mural bringing the untold stories and faces of San Francisco to life. For the full list of 2019 exhibitions, visit https://www.sfmoma.org/exhibitions/. 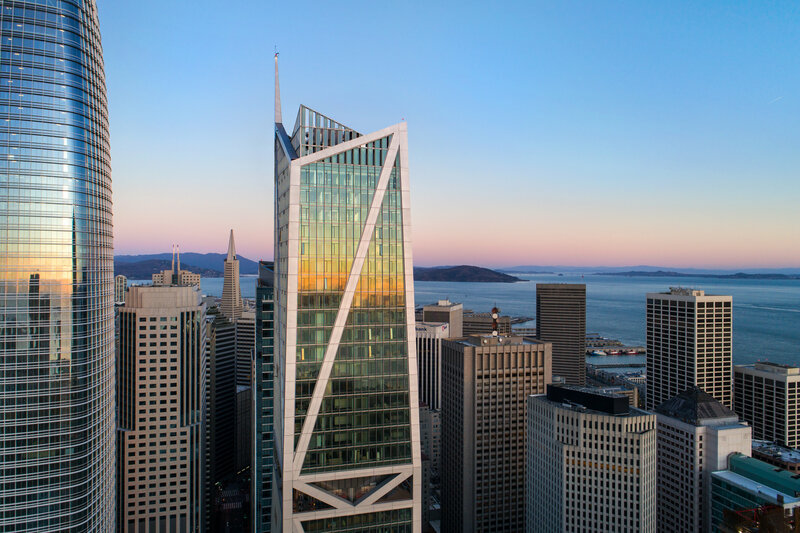 We are honored to announce that 181 Fremont has received the 2019 American Institute of Steel Construction Award in the category that recognizes innovative use of structural steel in projects greater than $75 million. The Innovative Design in Engineering and Architecture with Structural Steel awards program is the highest honor awarded to building projects by the U.S. structural steel industry, according to AISC. It recognizes excellence and innovation in the use of structural steel on building projects across the country. Architectural Digest took notice of the recent honor as well as our column-free interior floor plans stating, "The plan maximizes living space and minimizes view obstructions. Architect Jeffrey Heller was responsible for the 55 luxury condominiums, taking inspiration from his love of sailing and the water views. The exterior incorporates flowing lines in an effect that resembles dozens of connected ship masts. The building's 25-foot-tall, glass-enclosed lobby was designed by Orlando Diaz-Azcuy, and features a textured gold-leaf dome and banquette seating. 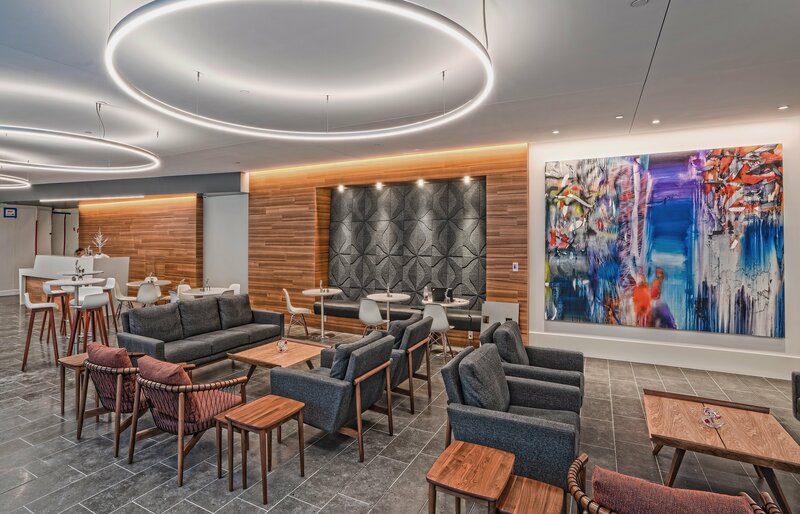 Residents can take advantage of an entire floor devoted to amenities, including a wrap-around observation terrace, fitness center, and yoga room, two lounges, a library, catering kitchen, and conference room." 181 Fremont was engineered to be the most resilient building on the West Coast and the structural engineers at Arup had to think outside of the box in order to exceed all current standards for seismic resiliency. They devised an ingenious aluminum exoskeleton structural support system that behaves like a giant shock absorber whenever there is seismic activity underfoot. A series of sub-foundation viscous dampers allows for a completely elastic superstructure, with plumbing and electrical lines designed with enough flexibility to move without disruption. "We created a structure designed to endure," said Ibrahim Almufti, Arup Structural Engineer. The building, offering 55 condos for sale in SoMa, San Francisco, also features the deepest caissons of any residential tower in San Francisco, burrowing 260 feet into the bedrock. The building's foundation is designed to uplift slightly to create additional space for movement with a set of safety elevators designed to remain operational during seismic activity. The Bay Area is known for being one of the foodie capitals of the world, just brimming with cuisine options from around the globe. 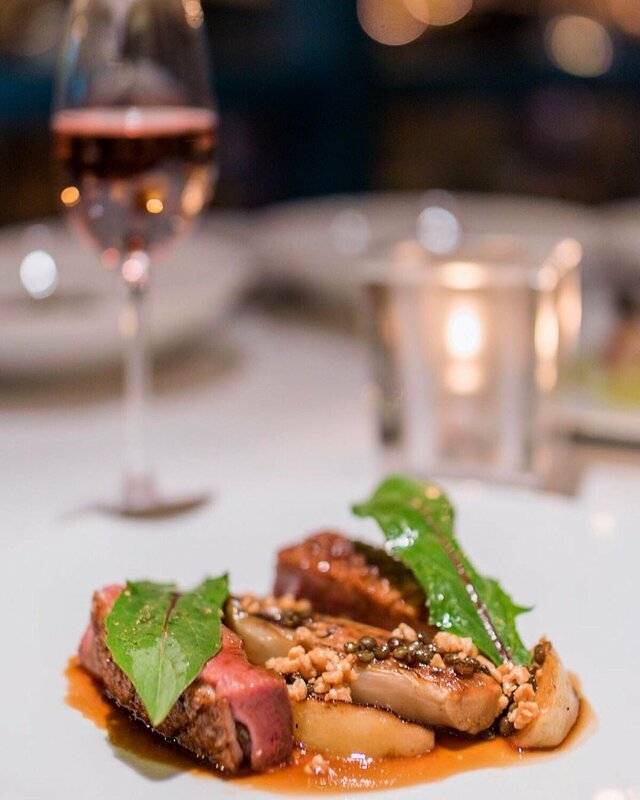 Many Michelin-starred restaurants are right here in SoMa, some just a few steps away from 181 Fremont's front door. If you live here at 181 Fremont, 55 brand-new condos in San Francisco, be sure to book your dining reservation through our Head Concierge David Mertens, who can secure priority seating for you and your guests, plus handle any other needs you may have for the perfect night out. This modern-American, three-star Michelin restaurant, led by Chef Laurent Gras, cultivates a fresh-fare menu focused around wood-fire cooking and seasonal ingredients sourced from fisherman, hunters, gatherers, ranchers and farmers. Each evening, the Saison team creates a dining experience for guests with a tailored menu and beverage pairing, so it's the luck of the draw which seasonal pairings you'll enjoy, but make no mistake, you'll never be disappointed. 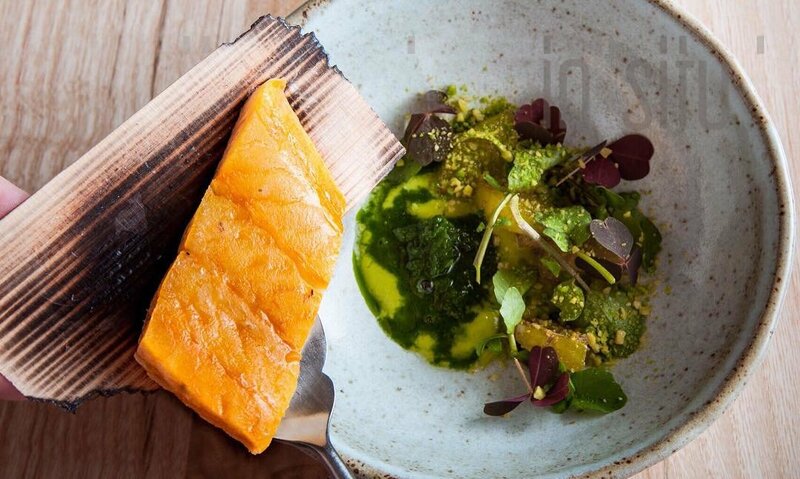 Our favorites from a recent dining experience were the Nova Scotia Lobster Tails, Hearth-Roasted Yams set over buttermilk and their famous Uni Toast. In Situ, a sophisticated one-star Michelin restaurant, takes a note out of the San Francisco Museum of Modern Art's book, where it happens to be located, with its unique, frequently-rotating "gallery" of iconic dishes from top chefs around the world. Dubbed "America's Most Original New Restaurant" by The New York Times, Chef Corey Lee's most innovative project features dishes from chefs of all backgrounds, from Nathan Myhrvold of Modernist Cuisine's Caramelized Carrot Soup to Rodrigo Oliveira's famed Dadinhos de Tapioca out of his Brazilian restaurant, Mocotó. In addition to sister restaurant In Situ, Chef Corey Lee, praised for his technical ability and refinement of dishes by Robb Report, is also the genius behind this minimalist, three-star, Asian-American restaurant. Plan to experience an extensive, three-hour tasting menu with a wine list of over 300 selections from France, California, Germany and Austria. Menu favorites include Lobster Coral Soup Dumplings, Veal Short Rib with Chrysanthemum Scallion Salad, or even thousand-year-old quail eggs. "The techniques and presentations are modern, but there is an unexplainable bond to tradition that makes his food unique," said the San Francisco Chronicle about Chef Mourad Lahlou and his one-star concept, a contemporary interpretation of Moroccan foods housed in a stunning space. The Lamb (Thumbelina carrot, vadouvan, date, lentil, smoke), Branzino (wild mushroom, sweet potato, baharat, hazelnut) and Octopus (brussel sprouts, cauliflower, mustard, preserved lemon) are our personal favorites. Unlike many of the other Michelin-recognized restaurants in San Francisco, one-star Luce – meaning "light" in Italian – is an escape to an intimate space and cuisine by Chef Daniel Cory. The contemporary, new-American restaurant, located inside the InterContinental San Francisco, boasts a 350-label wine list that has been recognized by Wine Spectator on more than one occasion. Their expansive wine selection serves to pair with any of their superb main courses, whether you choose the Pacific Bluenose Bass, the Duck Breast aged on the bone, or the California Arborio Rice Risotto with Black Winter Truffle. From residents' first steps into the lobby, marble provides a visual cue signaling timelessness and the finest that life has to offer. 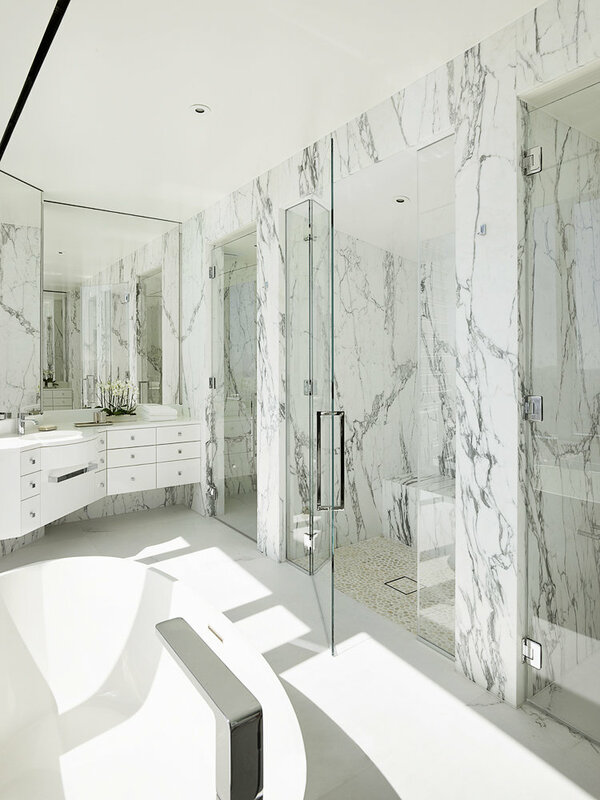 From the coast of Italy to the skyline of San Francisco, each piece of polished Italian Calacatta Marble at 181 Fremont was hand-selected for its peerless beauty. San Francisco-based designer Orlando Diaz-Azcuy, founder of ODADA, is one of the world's most respected and prolific designers and a master of the home interior. His elegantly-composed interiors combine a modernist approach of architecturally clean lines and urbane sensibility, with flashes of bold color or a statement piece to balance a curated look. The esteemed designer's vision for 181 Fremont was to exemplify an unparalleled living experience. After spending months in Italy, Diaz-Azcuy and his associates sourced the finest stone in the world to set the tone for the intricate design elements to follow at 181 Fremont. 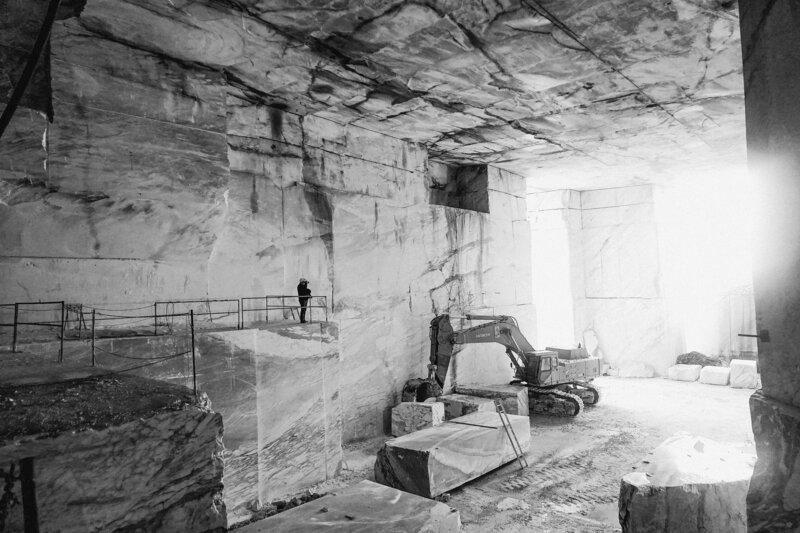 Taken directly from the seaside quarry cliffs, each massive block of marble was unearthed and fed into a giant cutting machine to create working slabs. These full slabs were cut against the grain to embrace the natural veining, providing depth and texture, and thus, telling a beautiful origin story that befits the stone's rich Italian heritage. Honed and polished to perfection, an intricate crosscut satin marble finish was chosen to reflect an old-world style of luxury to fit the vision of Diaz-Azcuy. "I found inspiration in timeless materials, natural luxury, and the history of San Francisco," Diaz-Azcuy explained to Forbes. "The care and quality that went into even the smallest details of this building make the greatest impact – it is the ultimate expression of luxury." Inside and out, every detail at 181 Fremont was meticulously designed and considered. The desire was to use classical materials to create a sense of natural comfort with the surroundings, accentuated with touches of the extraordinary. "Design is a process one performs first in solitude, then brings to reality for all the world to see." – Orlando Diaz-Azcuy. Explore our luxury condos for sale in SoMa, San Francisco by scheduling a private appointment at our Presentation Suite. 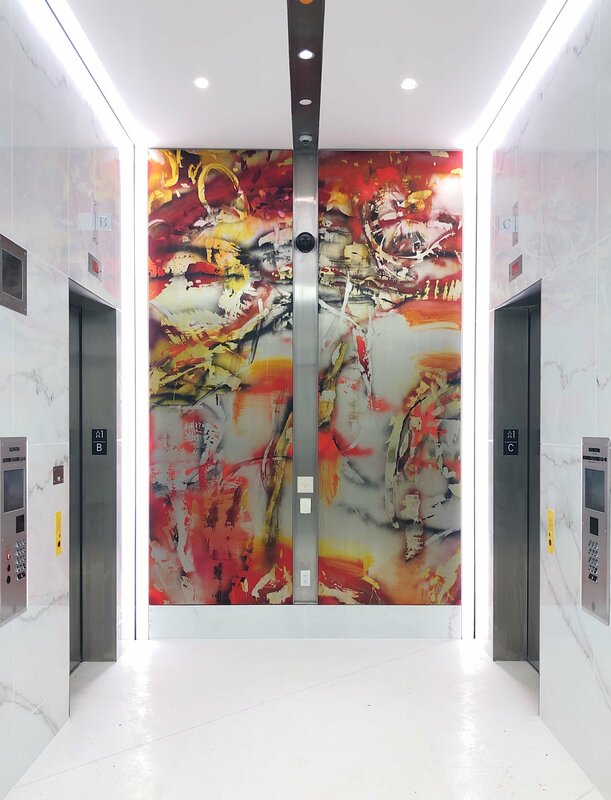 If you live here at 181 Fremont, there is no doubt you've seen the stunning work of artist Chris Trueman in the elevator lobbies and adorning the wall of the seventh-floor lounge. Trueman describes these "dematerialized paintings" as pretending to live in a mediated state. They are rich, colorful artworks that are captivating and dynamic. Q: Great to meet you, Chris. Can you tell us more about yourself? A: I graduated from the San Francisco Art Institute in 2003, earning BFA degrees in painting and in digital media. My work has been in numerous exhibitions in Los Angeles, San Francisco, Houston, Chicago and internationally in Milan, Paris, Berlin, Beijing, Rotterdam and Brisbane, Australia. Recently the Lancaster Museum of Art and History presented a solo exhibition of my paintings entitled "Slipstream" and I was included in the group exhibitions, "To Live and Paint in LA" and "The Subterraneans" at the Torrance Art Museum. Q: How do you describe your work? A: I would describe my work as a confluence of abstract styles and painting methods that explore the temporality of representation. What I mean is that historically speaking, art in general - and in my case abstract art - has been a marker of time and place; an encapsulation of the ideas that are circulating and social concerns, both philosophically and politically. In Post-War abstract expressionism there was a push toward a non-verbal communication - a more instinctual communication that happened between viewer and object. This relationship calls to be present in the moment. I've thought a lot about those ideas in relation to my work and the world we now live in with incredible technologies as we manage multiple identities simultaneously. So being "present" takes on new meaning and understanding where our online presence is at times, which is as real as our physical reality. With these ideas in mind, I created paintings that combine the contemporary with the historical and they act physically as though they are mediated, despite being handmade and physically occupy the same space with the viewer. A: For the large diptychs on aluminum that are displayed on the elevator lobbies, I chose to work on the aluminum surface because it is reflective and will change with the light. When aluminum is reflecting, the perceived color can appear brighter than the white paint and when it is not reflecting it reads as more of a grey. This means that any tone between these values will change spatial relation depending on light activation, with the brighter coming forward and the darker receding. So, the paintings subtly react to the environment, the time of day and ambient light with the presence of people who alter the light. For the painting on the seventh floor, I painted with acrylic and acrylic spray paint on canvas and took a different approach to similar ideas about how we represent time and place in culture. There are references to historical abstraction, graffiti, technology, nature and digital space constructed out of stacking layers. I was thinking about urban environments and natural environments and the negotiation between the various people that live in a place. A: I am a consumer of all sorts of information and experiences. I've traveled fairly extensively and am curious about the way that people live and the way that we create images and objects that reflect our culture. With social media, there is tremendous access to information: people, places, art, cuisine - everything appears to be at our fingertips. However, at the same time the images and pictures provide limited context and many images have been manipulated. So, while the platform provides a broad reach, it may not truly reflect the reality of an in-person experience. I love how we can use social media to connect and start a conversation, but I don't think it is the whole picture and I love to bring friendships and conversations into the real world. Q: Your work has already been a hit with residents. How do you hope they are inspired by these pieces? A: The elevator lobbies where the two diptychs are installed are spaces where people will round the corner from the main lobby and see the rich colorful artworks from a distance. As they approach and wait for the elevator to arrive, they can explore the surface more closely. It is a space of transition, where people are coming and going but also one that many people will frequent and I wanted them to discover nuances and details in the pieces each time they are passing through these spaces. The paintings were deliberately conceived for the spaces which they inhabit. The seventh-floor lounge painting was conceptualized in a different way. It is another transitional space that connects with Salesforce Park and also a commercial entrance, so I sought to create a painting that makes reference to both the indoor and outdoor environments. There are references to nature, the urban environment, graffiti and visual stimulus as we walk the streets, combined with references to digital images and representations of the world around us. Industrial and natural visual textures mingle with San Francisco art historical references such as Clyfford Still and Richard Diebenkorn (two artists whose work I personally love). Q: What do you enjoy about living and working in San Francisco as an artist? When I was 17-years-old, I was living in Northern California and I attended a Young Artist Program at the San Francisco Art Institute (SFAI). It was life changing for me and I decided shortly thereafter that I would return to SFAI for undergraduate studies. It wasn't a straight path, but a few years later I found myself back at SFAI where I earned by BFA. After my first semester I was back in my hometown visiting family for the holidays when a friend called and told me to turn on the news. I did and what I saw was my apartment building in San Francisco on fire. When I returned to school a few weeks later, I had nowhere to live, and being new to the city with minimal funds as a college student, I didn't have many friends to rely on. So, over the next several months I ended up painting all day and sleeping at school. Students had 24-hour access to the art studios, so I was allowed to be there, but we weren't supposed to sleep there. It took around three months before I had found a new apartment, but those long months were filled with making art and exploring the city. It was an intense time for me, but so many areas and places in San Francisco are filled with memories of that time, and I feel the hardship gave me verve and tenacity which reflects in my paintings. A: I recently had a solo exhibition at Themes and Projects in the Minnesota Street projects building in San Francisco and they will maintain some inventory of work. I also have a solo exhibition coming up in March in Los Angeles at Edward Cella Gallery that I am very excited about. Instagram is always a good place to connect with me and see my most recent work and projects (follow: @truemanchris). To learn more about the pinnacle of San Francisco luxury condominiums, call us today for a private tour.